Just in 2014 alone, over 1.1 million American drivers were arrested for driving under the influence of alcohol or narcotics. Yet, over 10.1 million Americans admitted to driving under the influence in that same year. 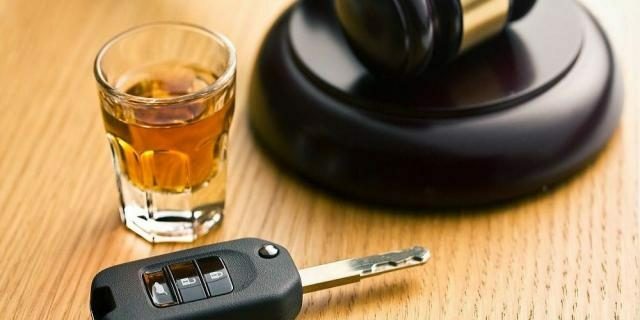 With how costly, and potentially deadly, DUIs can be for everyone and everything involved, it makes perfect sense why driving under the influence is illegal. However, one can be wrongfully charged for a DUI. For example, if you pass chemical tests but not sobriety tests but are charged anyway, are convicted with a DUI during a DUI checkpoint when the checkpoint is not legally marked, or are considered intoxicated because of a prescription medication you’ve taken, there are some important steps you need to take. Understand that you have the right to refuse field sobriety testing. However, following through knowing you’ll fail is essentially asking to be arrested on the spot. Often, it’s better that you stay silent and are arrested for not following through with testing than to allow a police officer to obtain clear evidence that will be used to prove you guilty in court. 2. Keep track of everything. The outcome of a DUI case can be dramatically affected by the information the court has on hand – or lack thereof. That said, be sure to keep track of everything that went down: when, where, and why you were stopped; your interactions with the police officer; what you were doing before you were convicted; the tests that were administered; and the like. 3. Private your social media accounts. While it seems unfair, anything can be used against you in court, including what you post on social media. Even private messages sent via social media can change the outcome of a case. While it’s no guarantee that your social media images, posts, and the like won’t be used against you, privatizing your social media accounts is an important step when charged for a DUI. 4. Collect information from witnesses. Witnesses can play a big role in a DUI case, or a case at all for that matter. Witnesses can be anyone who was present anytime from right before you got into the car to the time you were charged for a DUI. Friends, family members, or even complete strangers can be considered witnesses. Collect their contact information, and ask them questions regarding their perspective. When being charged for a DUI, a lawyer can properly defend you in court. Specifically, a lawyer can help challenge testing data or false information that may wrongfully impact the outcome of your case. But don’t just opt for any lawyer; be sure to do substantial research on and meet up with different lawyers in your area before making a decision. Get in touch with DUI and accident lawyer Samer Habbas for any legal questions you have. Whether you’re being charged for a DUI regardless of being sober or are being convicted while actually intoxicated, taking the previous steps is critical. Refusing sobriety testing, keeping track of everything that occurs during the DUI charge, putting your social media accounts on private, collecting information from witnesses, and getting a lawyer may all be necessary.